This piece is one of my very first creations. I found the pattern online and made it on my own, with a little help from the guys at the Vinery in Madison. 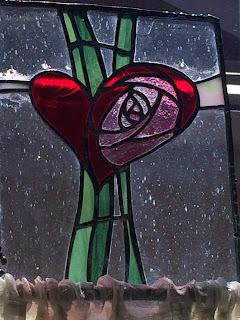 I love Charles Rennie Macintosh, and this design echoes how he makes hearts and flowers. I may remake it one of these days, just for fun.